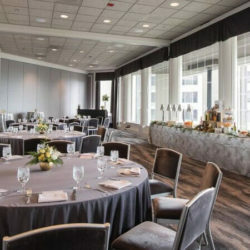 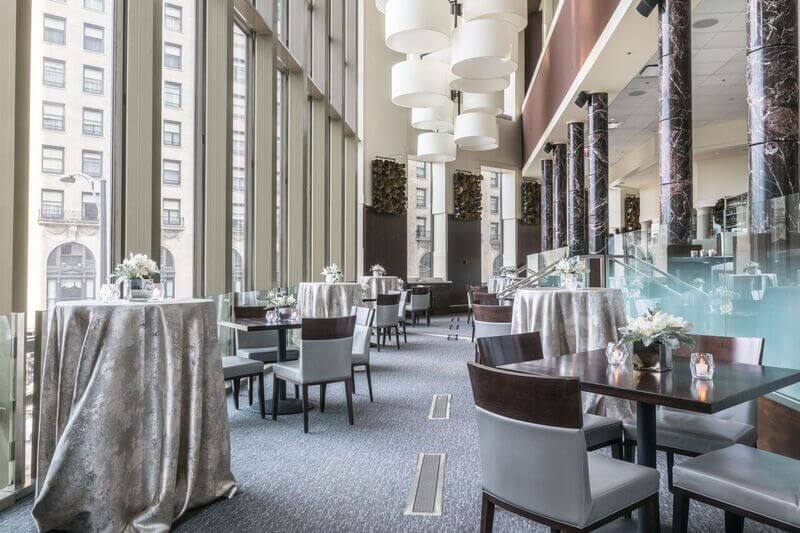 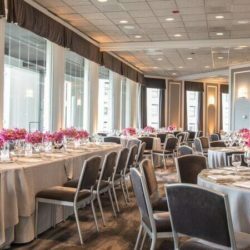 With sweeping views of Lake Michigan, the Michelin-starred Spiaggia Restaurant and Lounge sets the standard for creative Italian cuisine, earning four-star reviews, international praise and numerous awards, including a 2014 nomination for Outstanding Restaurant from the James Beard Foundation. 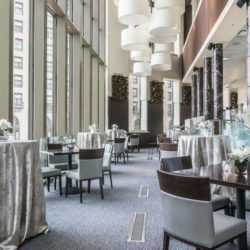 Chef-partner Tony Mantuano offers guests an unrivaled experience with menus that honor the heritage of Italian cuisine and the craft of modern Italian dining. 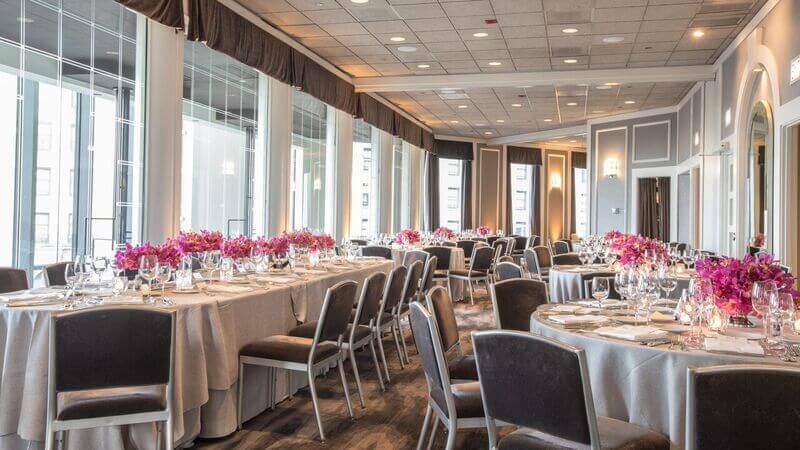 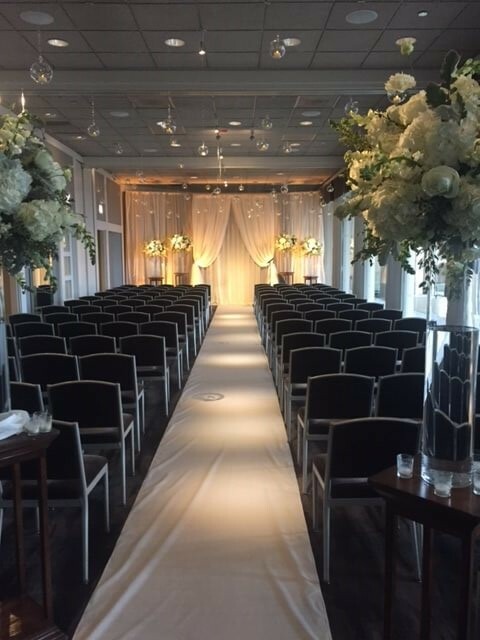 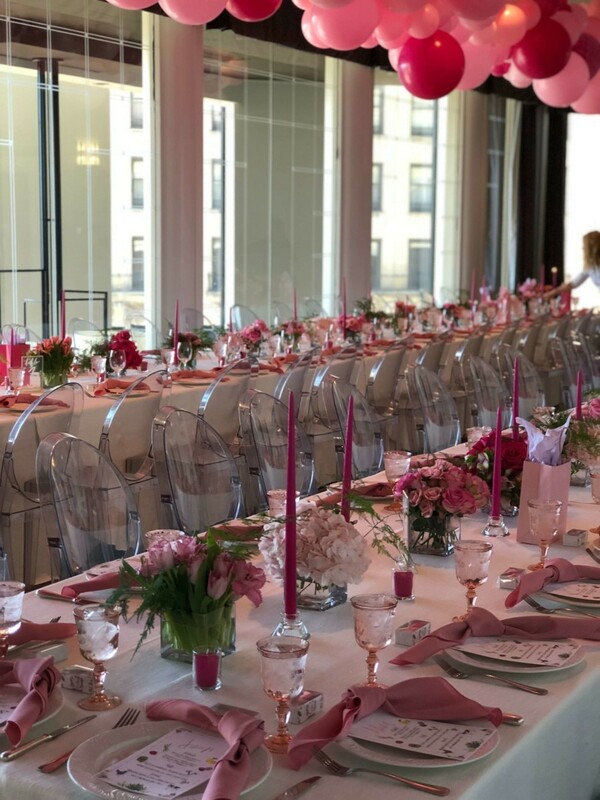 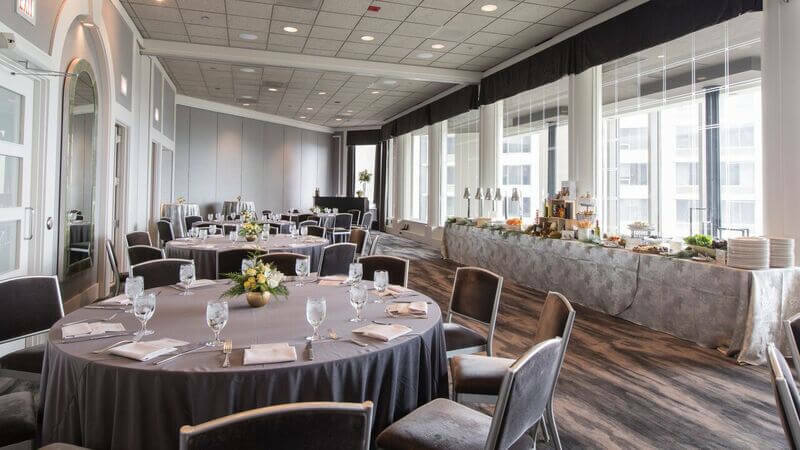 Our newly remodeled private events space welcomes groups as intimate as 2 or as large as 300 for weddings, parties and corporate gatherings. 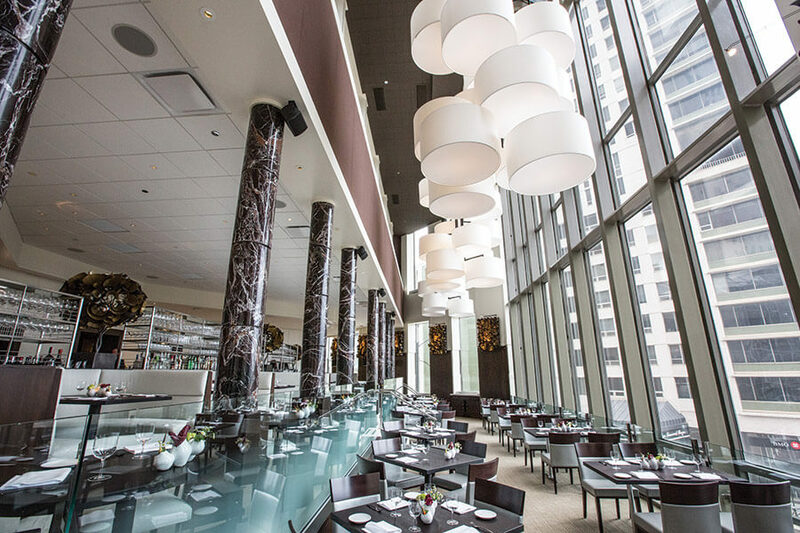 Handblown Italian glass chandeliers and custom finishes greet guests in the lobby, providing modern elegance that is uniquely Spiaggia. 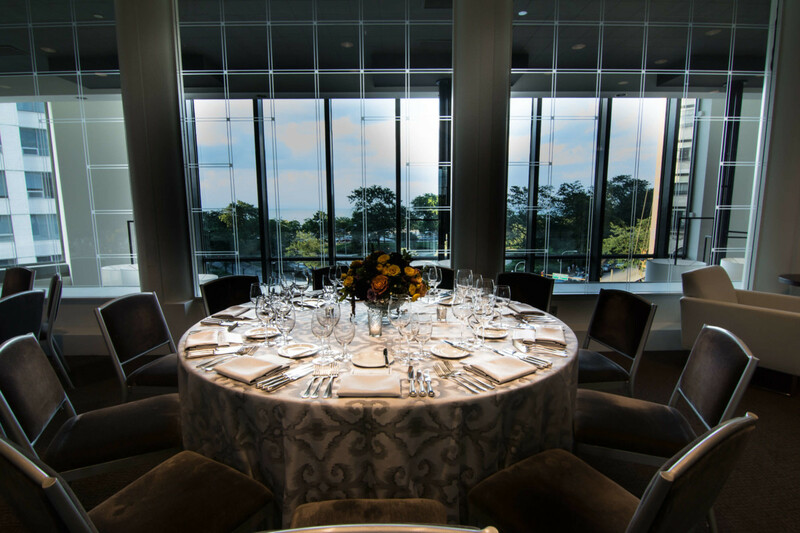 Private dining rooms at Spiaggia are wired for meetings and conferences. 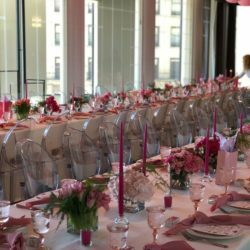 Best of all, special events can be customized, which affords guests all the opportunity to choose and personalize. 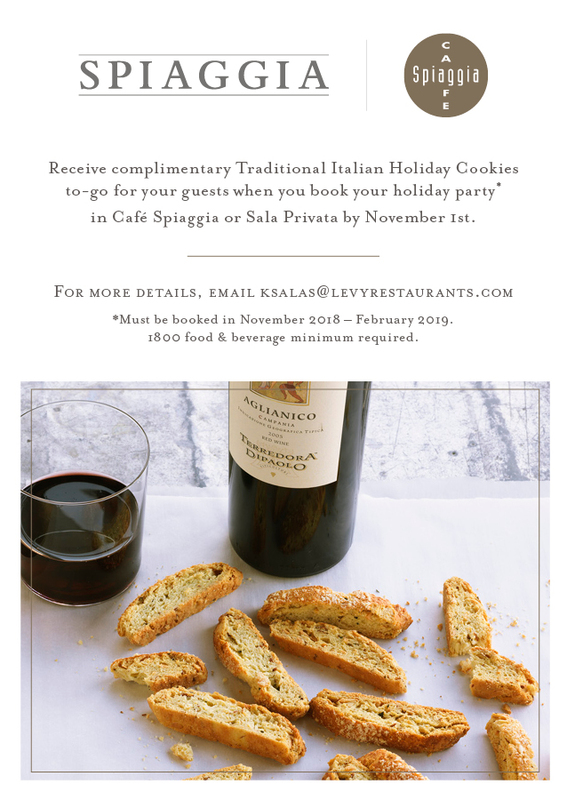 Interactive classes, such as olive oil and balsamic tastings, craft cocktail making, cooking demonstrations and more, may be added on to any experience. 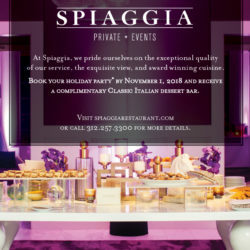 It’s the same thoughtful and elegant approach that has made Spiaggia a longstanding culinary destination. 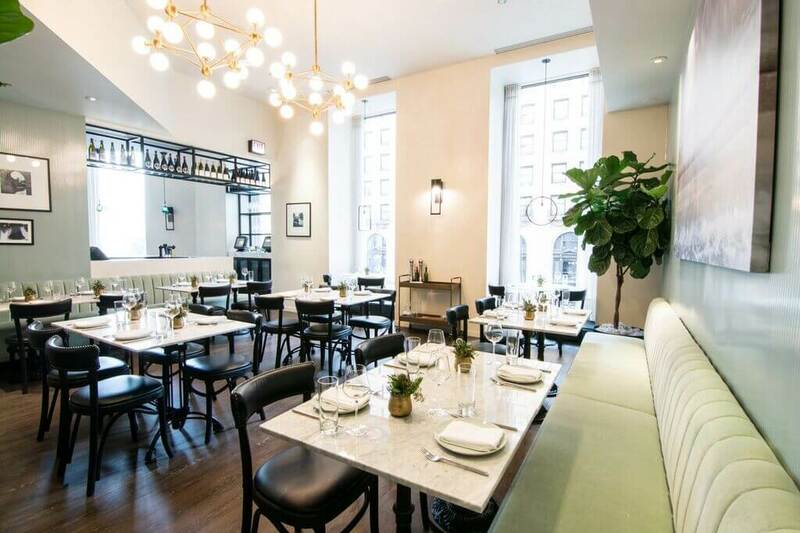 The stylish Cafe Spiaggia is a neighborhood favorite for lunch and dinner. 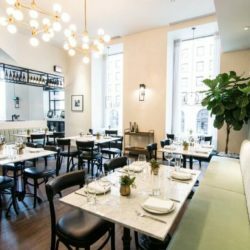 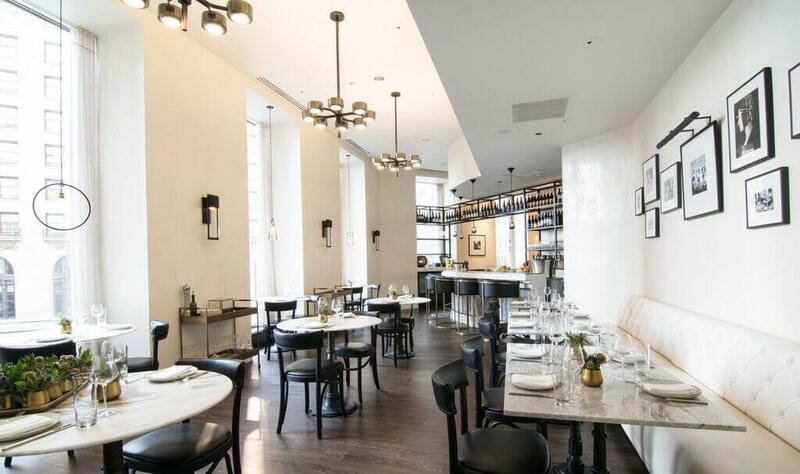 James Beard Award Winner Chef Tony Mantuano’s menu is casual modern Italian with many sharable items. 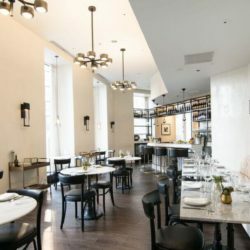 Featuring all female winemakers, the global wine list was hand selected by Sommelier Rachael Lowe and was featured on the cover of Wine Enthusiast's Top 100 Wine Lists in America in 2015. 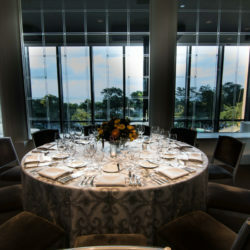 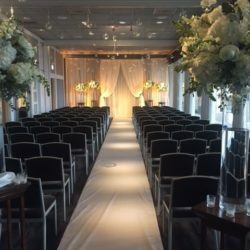 Corporate and wedding clients with between 50 to 200 guests who are looking for a wonderful meal and excellent service in a beautiful and elegant setting. 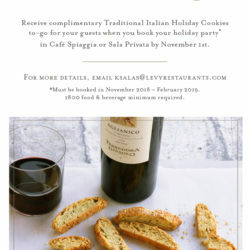 Offer impeccable service and food. 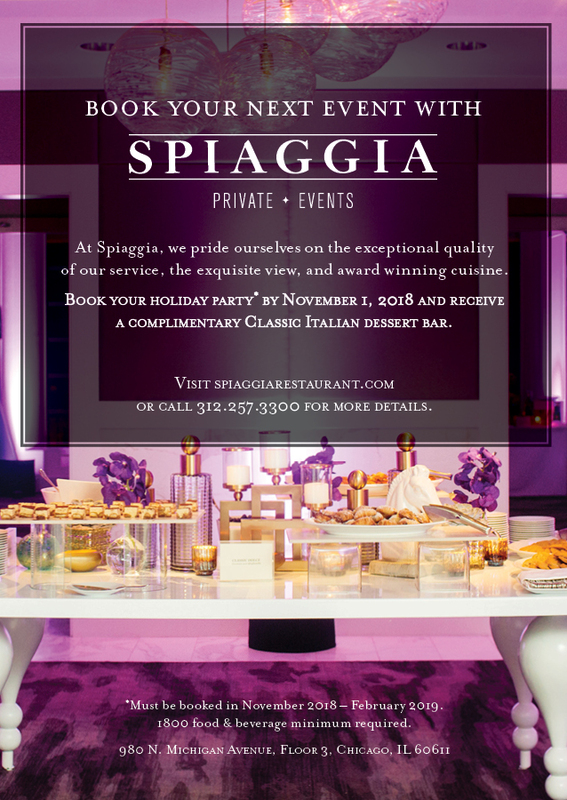 Extraordinary authentic Italian cuisine paired with highly personalized service making Spiaggia one of the finest luxury dining experiences in the country. 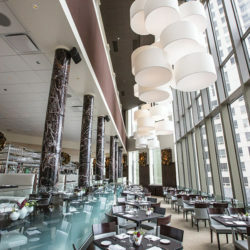 Italian food and service while enjoying the incredible view of Lake Michigan.